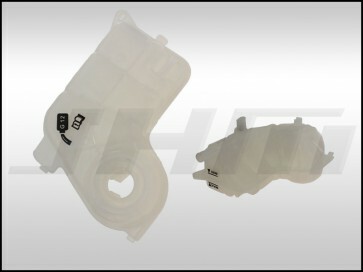 This is a high quality, Original Equipment (OE) type Expansion Tank for your B6-A4 with the 1.8T motor and ALL B7 A4s. This tank is made by URO, an original equipment replacement manufacturer for many Audi and Volkswagen parts. This tank often cracks due to heat and age. If you notice that your tank is changing color or starting to crack, change it before you loose your coolant! The OEM part number for this part is 8E0121403 or 8E0 121 403.